From the beginning most of the organization's resources have been directed toward “La Villa's” educational system, since we believe we can make the greatest positive difference there. 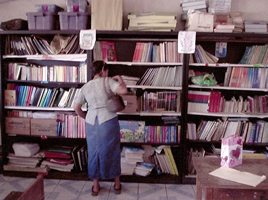 The municipality Villa El Carmen has seven K-12 (actually, in Nicaragua, it's K-11) schools in the municipio, plus over thirty elementary schools. MSCA has provided school books and supplies to these schools and has funded a large number of projects such as the ones pictured here. A little money goes a long ways as MSCA provides for materials and Villa El Carmen supplies the labor.